1. 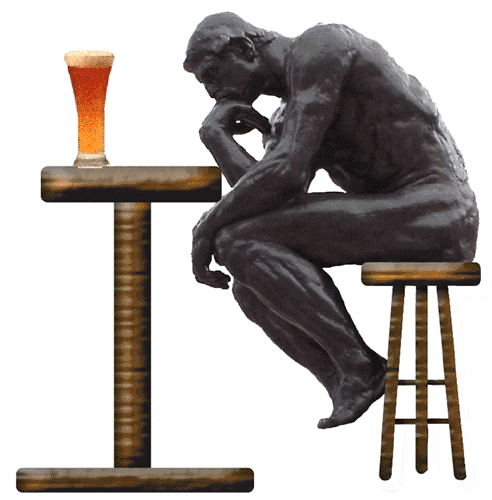 The Bruery makes thinking man’s beers. Given the association of SoCal brewers with hoppy, IBU shattering oferings, The Bruery holds a unique place in the California beer scene. Instead of the oft seen lineup of a Pale Ale, an IPA, and a darker beer of some sort The Bruery’s year round lineup consists of a Saison, a Danish style Rye Ale, an Imperial Pale Lager and a Belgian Strong Ale. They also make an Oak Aged American Red ale for the immediate area, a sort of “locals only” nod to the surrounding community. While Hoppa does enjoy his West Coast IPAs, every now and then the moment calls for something unique, something that I haven’t tasted before, which is why I always keep a few 750s of Bruery offerings on hand. While I haven’t been crazy about every single beer they make, each beer that I have had from them has had elements and flavors that made me think about beer in an entirely different way, for these are beers that are deep and complex. Like a good chef can take a everyday food and from it, craft an entirely new flavor experience, so does Patrick Rue with his beer experiments, create something that is both familiar, unique, and unlike anything else out there. Take for example their Autumn Maple, a beer brewed with 17lbs of yams, mollasses, and maple syrup. While I was not too keen on the beer, it made me think and look at an often overlooked style (vegetable beers in this case) in a different light and see them as having the potential to be much more than a pumpkin flavored novelty act that hits the shelves every October just in time for Halloween. My big takeaway for Autumn Maple was realizing that vegetable beers could be very complex and appreciating how a brewer can create the essence of a season (in this case fall) using seasonal vegetables, spices and the flavors and aromas associated with that time of year. I may not have liked it, but dammit, I respect it. 2. They have a meat and cheese counter. 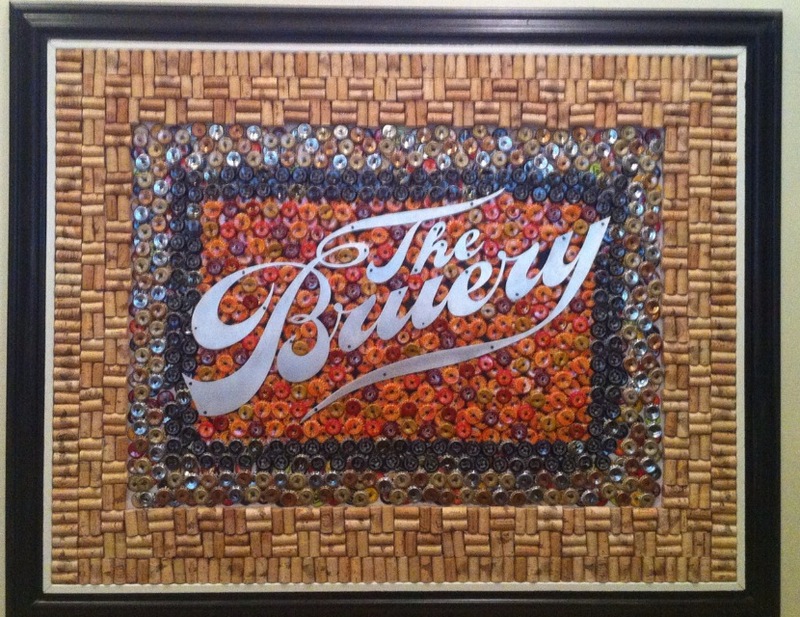 Much like a winery, the Bruery makes it a point to emphasize that beer is something that can be paired with food. In fact, much like wine, their beers come in one size and one size only, 750s. The main draw to the Provisions location is their tasting room, featuring a very respectable selection of charcuteries and assorted cheeses. Cured meat, cheese and beer, staples of a life done right. To accompany my beer flight, I opted for a platter featuring Pt. 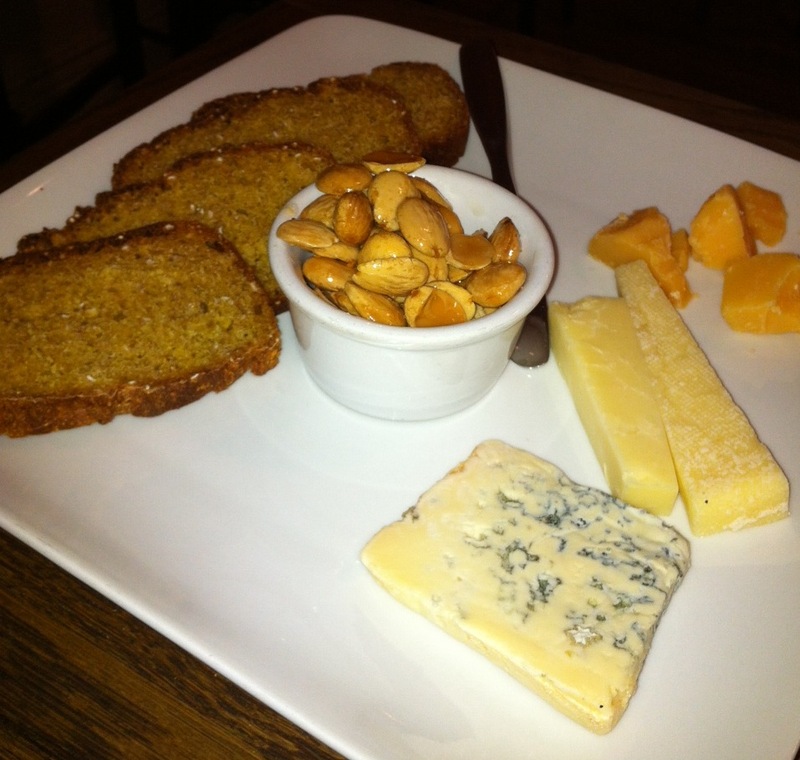 Reyes Blue, a nice Kerrygold White cheddar, a Vella Dry Jack and marcona almonds roasted with honey and salt. You also get a generous portion of good bread with each platter, not bad for $11. You can also purchased cured meat and cheese to go, and prices are very reasonable. Tasting a flight of beer alongside a platter of cheese is something that I recommend Aleheads try at least once. A well thought out flight of cheeses really brings out details of the beers that you may have overlooked, and lets face it, cheese is fun. Also to note, the existence of said cheese flights are a big hit with the ladies, and can be used as leverage to convince a girlfriend to drive 45 minutes out of town to watch you drink and talk about beer. 3. Sample flights are cheap. The Bruery knows how to do beer flights, and five pours of really good beer will only set you back $6-$8. We opted both flights: Classic, which focused on the Bruery’s year round offerings with some seasonals thrown in, as well as Specialty, offering some of the more wild offerings that were currently available. My favorites of the bunch were the Chocosaurus Rye, a rye lager made with cacao nibs and vanilla beans, which managed to have the best balance of chocolatey and malty that I have ever experienced in a chocolate based beer and Sour in the Rye (more on this later). Also of note were the White Oak, a blend of barrel aged Wheatwine and Golden Strong ale that was sweet and earthy, and the Lokal Red, the barrel aged Red Ale that is both big and oaky yet highly carbonated and mellow to the finish. 4. The bottle shop is second to none. 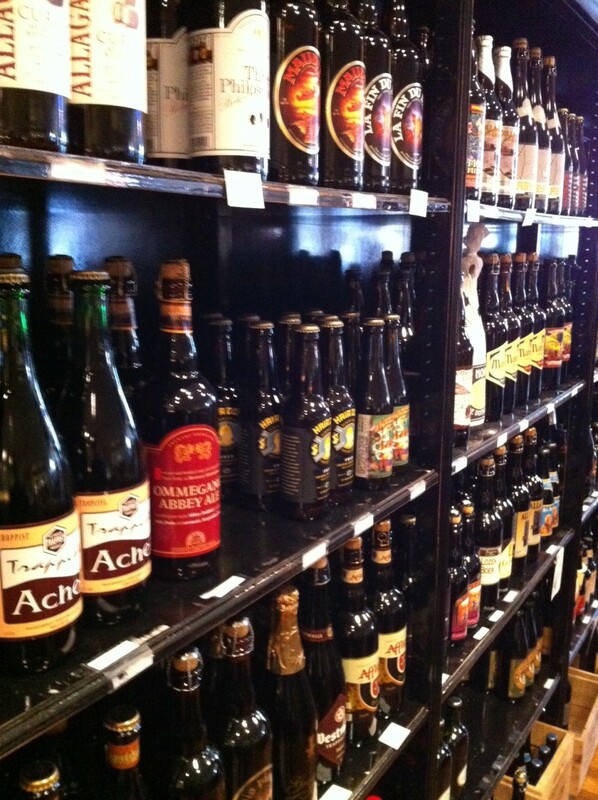 In addition to featuring the entire range of Bruery beers for purchase, The Bruery Provisions also has one of the best bottle shops in Southern California, featuring beers from all corners of the country. Want a bottle of Jester King Thrash Metal? They sell that. What about the Hair of the Dog Blue Dot DIPA? They have that too. 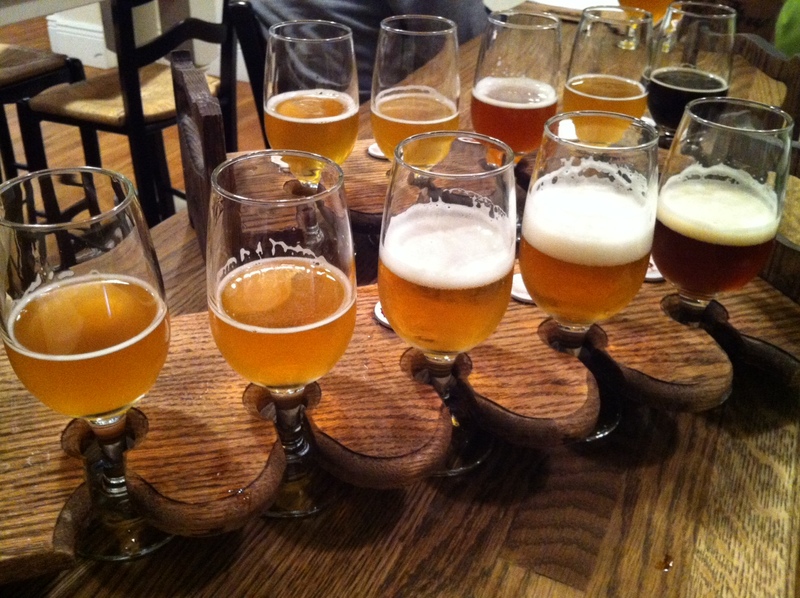 What about something Belgian, or maybe an Italian craft beer? Yes and yes, great selections of both. The flight also included Sour in the Rye, described as a “sour rye ale aged in oak barrels.” I consider myself a fan of sour beers, most recently having the privilege of trying an Odell Friek, but Sour in the Rye is in a league of its own, a damn near perfect beer. Nose is sweet and fruity, not much of an indicator of what it has in store for you. Then you taste it and it is an all out sour assault on the back of your tongue, complete with flavors of cherry, apricots, citrus, and apples. Immediately after, the smooth taste of oak wraps up the experience with a crisp and clean finish, leaving you wanting more. Now if reeeeeallly sour beer is your thing, you owe it to yourself to track down a bottle of Bruery’s Mother Funker. This is a chardonnay oak barrel aged sour blonde that while not as carbonated and boozy as Sour in the Rye, is the beer equivalent of sticking a straw into a lemon that has been soaking in an oaky vat of chardonnay, drinking deeply, then washing it down with a shot of sweetened rice vinegar. This is a SOUR beer, and was a highlight of the trip. There you have it Aleheads, if you find yourself in Orange County with an hour or two to kill, I highly recommend ordering up some cheese and a few flights at Bruery Provisions. If you like dimensional beers, or just trying something interesting, I think you’ll find it to be a trip well spent. Posted in Alehouses, Beer Culture, Beerxperiences, Bottle Shops, Travelogues.Tagged Mother Funker, Sour in the Rye, The Bruery. I am only disappointed at the lack of a Simpson’s reference. No Simpsons reference!!?? Aye Carumba!! We are spoiled around northern OC with Bruery Provisions, the actual Bruery Tasting room, Old Orange Brewing Co, Anaheim Brewery, Bootleggers Brewery, Noble Ale Works and various craft-only gastropubs within an 8 mile radius. I love the Bruery and their extraordinarily thoughtful approach to brewing. My only complaint is that their 750s are just too damn tall for pretty much any beer fridge. Count me amongst those who would gladly buy a four-pack of 12-ounce Rugbrods! I haven’t visited the LA area in a few years, but the Bruery will be one of my first stops the next time we head that way! I feel your pain. Wonder if they have any plans for this. It is on my agenda to try and get an interview with them. This place is a must do if you are in SoCal. It is just so well executed and dare I say, classy. I am still shocked that they let people like me in. 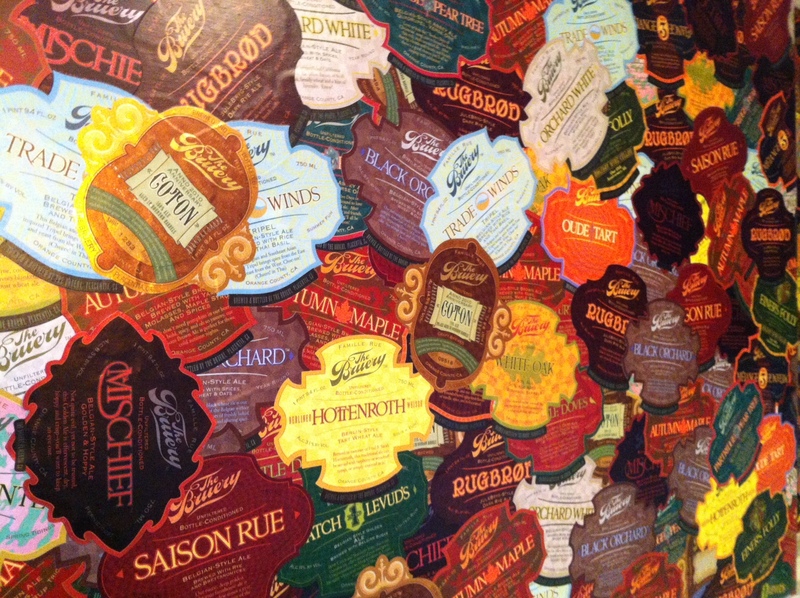 Let me join a cacophony of Aleheads who claim a love for The Bruery. Although we can’t get their beer in Pittsburgh, I was lucky enough to be in Florida almost exactly a year ago for their tap takeover of Cigar City to celebrate the release of their Imperial Oud Bruin collaboration Marron Acidifie. They brought the following on draft: Three French Hens, Autumn Maple, Mischief, Orchard White, Rugbrod, 7 Grain Saison, Tradewinds Tripel, Saison de Lente, Hottenroth Berliner Weiss, Humulus XPA, and Cornballer Malt Liquor. It was a very good day. Nice post Jimmy, I’ll try not to hold the sun and great craft beer southern California has to offer against you. Prick.